This Mississippi hotel is 1 block from the beach and a 20-minute drive from Gulfport-Biloxi International Airport. It features an outdoor pool and guest rooms with a 42-inch LCD TV. A microwave, fridge and coffee facilities are offered in each room at the Hampton Inn Biloxi Beach Boulevard. The spacious rooms include free Wi-Fi, dark wood furniture and white linens. A gym and a business center are offered. Guests can take advantage of laundry facilities. Maritime & Seafood Industry Museum is 3 miles from Biloxi Beach Boulevard Hampton Inn. Keesler Air Force Base is a 2-minute drive away. 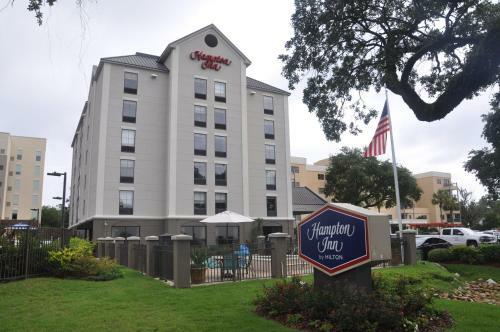 the hotel Hampton Inn Biloxi Beach Boulevard so we can give you detailed rates for the rooms in the desired period.